So since summer means spending time in the warm heat, it also means shorts, tanks, crop tops, dresses, and just showing a lot more skin than usual. A really fun way to adorn your skin that has been picking up (even Express of all places sells them) is flash tattoos. I think they're a cool and fun trend so Nüd Ink, a company that specializes in flash tattoos, sent me a few packages to try out for myself! I was sent a few different styles and decided to try their "El Dorado" collection first because I love the geometric shapes and lines used in the tattoos. 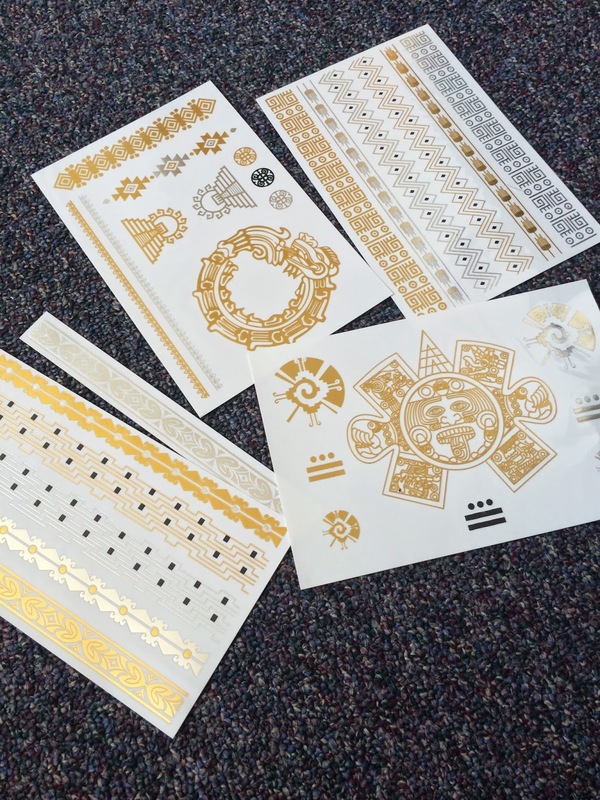 Flash tattoos are so fun and they look awesome on your skin! It's also nice that they're temporary as well because if you don't like it, then it can come off. I love the idea of tattoos but am not sure if I would ever take the plunge and get a real one myself. So settling for metallic temporary ones are fine with me. Here are two other times I tried the tattoos, and the bottom photo is actually of a bindi from their "Om" single sheet special. I had to dance to Bhangra, a traditional Indian dance, at school so I decided to use a bindi to add onto the ambiance of my costume. 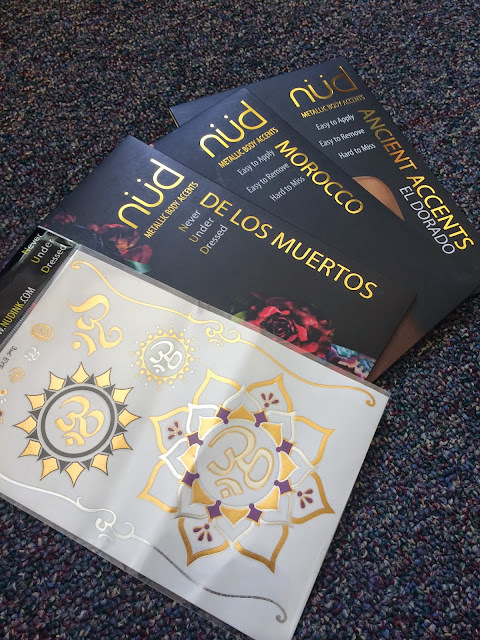 Check out Nüd Ink on social media @nudink or check out their hashtag #getnud to see some of their other stuff and see what other people are saying about them! Disclosure: I received these as press samples; all opinions are my own. Have you tried the flash tattoo trend yet? What's your favorite print or pattern to use?